What a good word to all of us as Christians and as churches to persevere and carry out God’s work—boldly and yet true to him and to his Word. The challenges and battles are real and numerous—they are to be expected. Yet He is Light, Hope, and Victory and we are HIS extensions in the world. As surely as God called Moses and then Joshua, he has called every one of us. Our October mid-month Prayer Need update detailed in general form the ordering by a Chilean judge that all nine of the children under our care be removed and placed in children’s homes—all as a result of a fabricated, untrue allegation of physical abuse brought by one of our girls against one of our house parents. While these kinds of extremely difficult and very abrupt situations might be commonplace in how such matters are handled in Chile, they are very, very hard to go through and get through. At the same time, we DO serve and represent the God of Light, of Hope, and Victory. It’s also an earnest plea for your steady prayers for us and for God’s work through us with these children. This situation continues to be our prayer focus for November. This month and next will serve as a good “respite” time for all of us involved in the children’s work. Please continue praying for the well-being of the children, and for the initial re-grouping and rest of our two sets of house parents, other staff, and us. Pray for good communication between Janine and our Chile staff in the meantime. We are in process to become a legally recognized foundation (the papers were signed in October) and there are several other changes to be decided on early next year by the foundation’s 5-member board. As we deal with what has already occurred, we will be checking into the possibility of receiving some of the past children back with us. While our profile of child will remain the same (abandoned), we expect to seek and receive much younger children. Thank you so much for your prayers in all of this! At present, we are in the States to participate in the annual missions conference (ICOM) of the Christian Churches/Churches of Christ. Please seriously consider coming to see us at the Kansas City, MO. convention center, Nov. 14-17. Our CHILE! CHILE! CHILE! 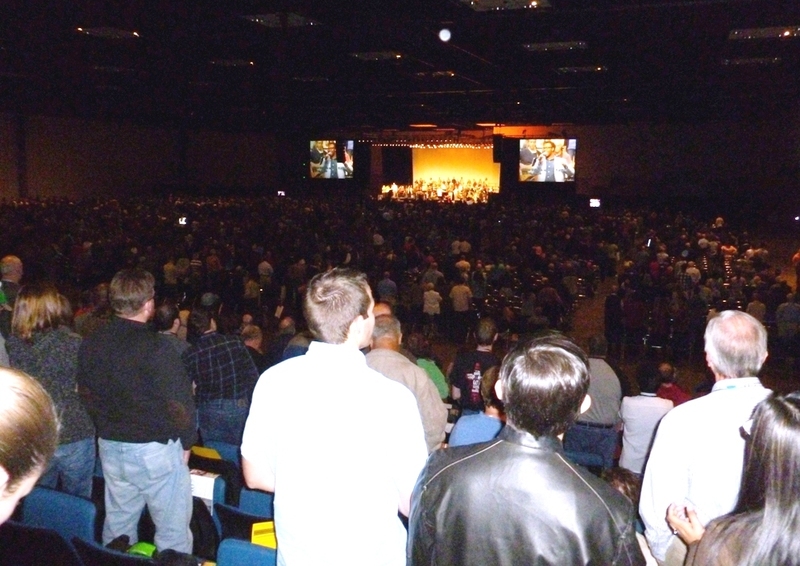 booth is one of hundreds of good presentations of God’s work in the world. We’d love to see you there. It’s an excellent conference for missionaries, churches, and individuals alike. Please also use this month to pray for the work of all our churches and missionaries!